The time that you spend in school is considered as the golden years of your life. This is the beginning step where children not just learn the ways of the world but also become a part of it over the time. While all the schooling years have their own importance in life, class 10th is one of the most crucial times in a students’ life. It’s the period where students undergo various emotional, physical and psychological changes. This is also the time when they take their first step towards their career and start establishing own opinions that matter most to them. Class 10th boards exam is the first milestone that students cross in their academic experience. Their grades and interests during this time affect their choice of stream and hence, their career options in higher studies. If you are also in class 10, you definitely know why the time after 10th board is crucial. 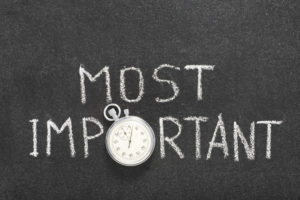 If not, then here are some of the top reasons this time matters the most. Check them out and utilise your time. While some students have already chosen their favourite stream, many still lay clueless in their room calculating their decision. If you are one of them, use a strategical way to come up with a decision. The time after the 10th board is mostly there for you to decide on your career. For an informed choice, you can always get guidance from your parents, teachers, sibling or even relatives. You can also check online quizzes to know which stream suits you the most as per your hobbies and interests. One more important thing to keep in mind is that never choose a stream under peer or parental pressure. After all, your choice will affect your life. Keep in mind that it is about your career and not others. Hence, utilise the time and make a wise decision. Another reason that emphasises the importance of time after the 10th board is closely associated with students who have a clear idea about what they want to become in life. For instance, there are many students who wish to have a career in the medical or engineering field even before their board exams. Such students begin their preparation by enrolling themselves in a coaching institute. Some also apply for a scholarship for 10th studentsto get free coaching at premier institutions. If you also want to apply for a scholarship for 10th students, you get plenty of time after your board exams to prepare well for the scholarship tests like ANTHE. Who knows you might become the top scorer and get full fee waiver at Aakash Institute! This one is definitely the best reason for each and every student. The long holidays after the board exam are the best not just for deciding the future options but also for having lots of fun. After studying dedicatedly for over a year, you deserve to spend your time enjoying your favourite activities. You can watch TV, surf the internet or just take a sleep marathon. You can also join a summer camp or pursue a hobby. Even your parents won’t deny you at this time. This leisure time will help you in de-stressing your mind. A happy and healthy mind will help you take a better decision that is crucial at this point in your life. Worthy reasons, aren’t they? However, don’t go overboard with this idea. Choose your passion and do what you want to do. You surely should study but don’t take it extremely seriously and also focus on your health and happiness. And if you have a dream, then be prepared to put your hard work and dedication in achieving that. All the best!